Baskin-Robbins, the world’s most beloved ice cream brand, spreads happiness to shoppers and promenaders as it opens its 14th store at B8, Bonifacio High Street, Taguig. To celebrate the opening of the newest Baskin-Robbins store, special treats await customers and ice cream enthusiasts. On October 1, the grand opening day of their Bonifacio High Street store, customers can have a taste of Baskin-Robbins’ iconic ice cream flavors for just P31 per junior scoop! There will also be fun activities and freebies for children and the young at heart during the grand opening celebrations from 4 to 7pm. 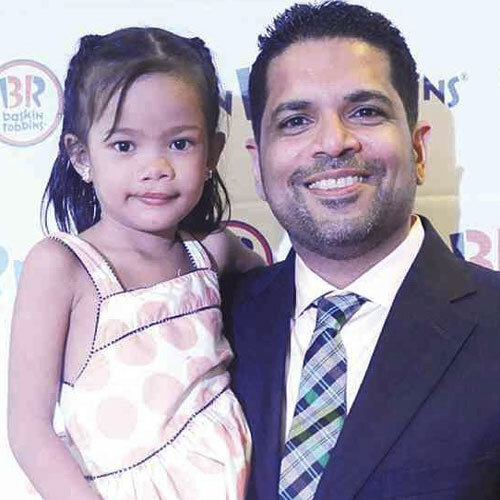 “There has been a lot of anticipation around the opening of this branch which is right in the heart of the action at BGC so we are looking forward to bringing Baskin Robbins’ fun and flavors to the neighborhood.” shares Michael Dargani, president of IceDream Inc., exclusive licensee of Baskin-Robbins in the Philippines. As the world’s largest chain of ice cream specialty shops, Baskin-Robbins creates and markets innovative, premium hard scoop ice cream, customized ice cream cakes and a full range of beverages, providing quality and value to consumers at over 7,600 retail shops in nearly 50 countries. Join in the fun and festivities of the launch of this brand new location and come visit the latest addition to Baskin-Robbins’ growing chain. Soledad in Sta Rosa, Laguna.